Sleep better, boost your energy, travel jet lag free! AYO lets you wear the sun! 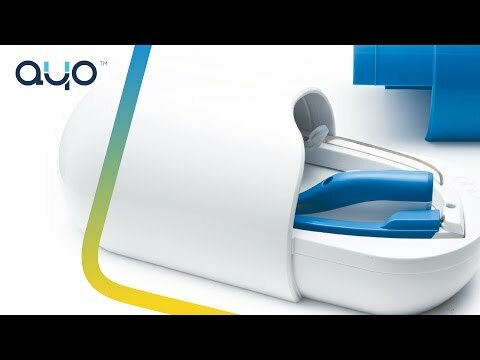 AYO is an advanced eyewear technology that adjusts hormone levels using a specialized lighting solution, fully controlled and guided by a mobile app. It has been researched and shown in the last 15 years in leading universities such as Harvard and Oxford that light has a tremendous importance on our wellbeing and is the most fundamental factor for optimizing our biological rhythm. Wearing AYO for 15-20 minutes per day boosts energy levels and wearing AYO for 20-30 minutes per day helps shift the biological rhythm according to the user's lifestyle and preferences. That can result in improved sleep and easier wake-up time, minimization of jet lag symptoms as well as boost of energy levels and helping people deal with winter blues and SAD. AYO has to be worn with open eyes but it has been designed in such a way that the light does not distract the person’s vision and the user can continue doing what he is doing without any distractions (make breakfast, work on the laptop, do the morning, etc.). For us, design and user experience is as important as providing the maximum effect of AYO so that the user can get a full satisfaction of our product. The science behind AYO is a combination of Chronobiology and light applications. After a certain time of wearing AYO the AYO blue light is being absorbed by a specific photopigment in the brain (melanopsin), which sends signals to the brain and the brain starts to optimize our hormone release. The effect of AYO is similar to the energizing effect of being exposed to the sun but without the harmful UV and infrared lights.